The iD editor gets new features. The developer asks for reports of issues on Github. Voting about the proposal camp_type = * is ongoing. Currently the yes-no ratio is about 1:1. The OpenSeaMap project has his own Youtube channel. Currently there are three videos covering “starting with OSM”. Heise online also reported about OpenSeaMap who want to improve OSM data with a specific logger especially in shallow water. Martin Koppenhoefer proposes on the tagging list to map volcanoes not only as nodes but also as ways. On talk-us there is a discussion about whether heights (ele = *) should also be recorded in non-metric units. Dennis Zielstra and Pascal Neis both released their dissertations freely available to download. In a blog post they describe what you can and cannot expect from these “books”. On the tagging list people are thinking about alternatives to mailing lists and wiki. Some have Loomio in mind and provide an example. Shawn Day aka “eireidium” teaches at various universities in Ireland and is excited how his enthusiastic student solved the tasks set by him. Julien Brault is looking for a way to count all automated cross-border roads. As for other major events, some mappers have mapped the disaster area of the Germanwings crash. Should JOSM Users be informed on current tagging discussions? A patch by Bryce Nesbitt is discussed on the JOSM dev list. Meanwhile the maintainer, Dirk Stoecker, speaks against inserting it into the core (ie, the function would then be stored in a plugin); Jochen has general objections against such a feature. A lot has happened with the OSM tile servers. The HOT team is looking for an Interim Executive Director. On OSMF Talk Joseph Reeves thanked Kate Chapman for the adoption of this role in the past 5 years. Until April 10, you can apply to work on the HOT export tool as a developer. The program for HOT Summit 2015 is online. The new web service bicycle.osm24.eu shows specific routes and POIs for cyclists. The online edition of the Austrian Der Standard (Translations) report about Tron-like maps (here: Paris) generated with OSM data. More on Basic thinking. The city of Troisdorf has published a very extensive and exemplary city map service that has already won international praise. Are you missing coasters on your table? Create your own based on OSM. The operators of the Internet service RouteXL call for a test of the newly developed site structure. RouteXL calculates the optimal route for a set of randomly predetermined addresses. Internal OSM data were used to calculate the position already. The next step will be the conversion of the from Google Maps to partly OSM-based open source components. Especially innovative companies link OSM. Just like ICE, French TGVs show the current position of the train on an OSM background. The entire road network of Hamburg has been published under CC-0. Coleman McCormick writes in his article on medium.com about OpenAdresses (OA). He explains why OA is important and how it works. On a platform of the German Federal Ministry of the Interior, people can ask for open data records until 03 April. 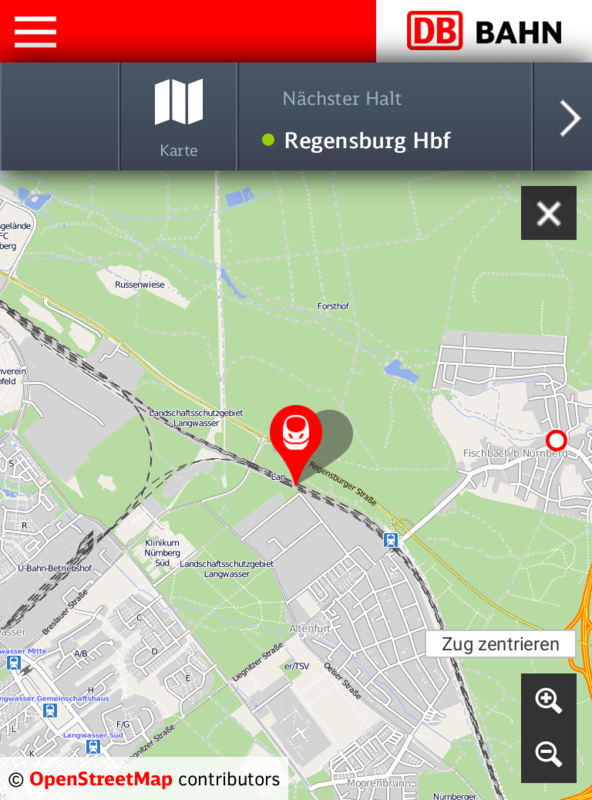 EB Dirigo is a new OSM-based navigation program in development for Android devices from Elektrobit. You are invited to beta test. The Open Source route optimization/fleet management software ODL Studio by OpenDoorLogistics uses OSM data and the routing engine of Graphopper. 48 students have submitted 54 applications for over 15 project ideas with a reference to OpenStreetMap for this year’s Google Summer of Code (via osm-dev). … the project “detect sidewalk information” to increase pedestrian routing using photos from Mapillary? It is part of the research project CAP4ACCESS whose goal is a “barrier-free route planning for people with restricted mobility”. Details can be found on the website of the research project. One of the German participants is the GIScience Research Group at the University of Heidelberg. Due to recent tragic events, Constantin Müller tried 3D visualization using aircraft data. Aleks Buczkowski expressed on Geoawesomeness his point of view about last year’s new products from our “market companion”. Landsat takes 16 days to scan the entire world once.